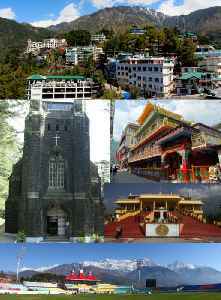 Dharamshala is the district headquarters of Kangra district in India. It was formerly known as Bhagsu. The Dalai Lama's residence and the headquarters of the Central Tibetan Administration are in Dharamshala. Dharamshala is 18 kilometers from Kangra. Dharamshala has been selected as one of the hundred Indian cities to be developed as a smart city under PM Narendra Modi's flagship Smart Cities Mission. On 19 January 2017, Chief Minister Virbhadra Singh declared Dharamshala as the second capital of Himachal Pradesh state, making Himachal Pradesh the third state of India with two capitals after Jammu and Kashmir and Maharashtra.